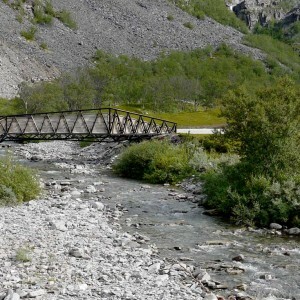 Pushak: The National Tourist Routes are a selection of roads that stretch through some of the most beautiful landscapes in Norway, and are developed and managed by the Norwegian Public Roads Administration. 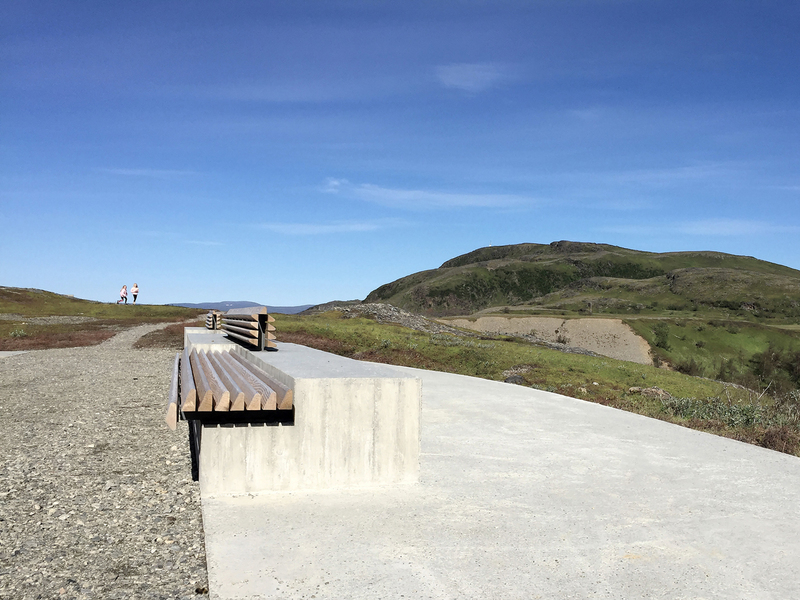 Several rest stops and view points are established along the routes, either to highlight specific sights and outlooks, or to mark a point of departure for hiking in the landscape. 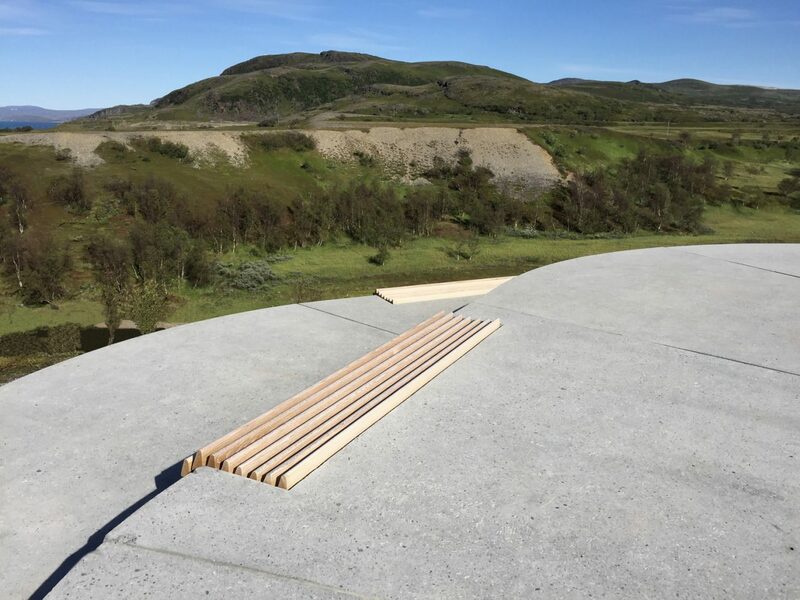 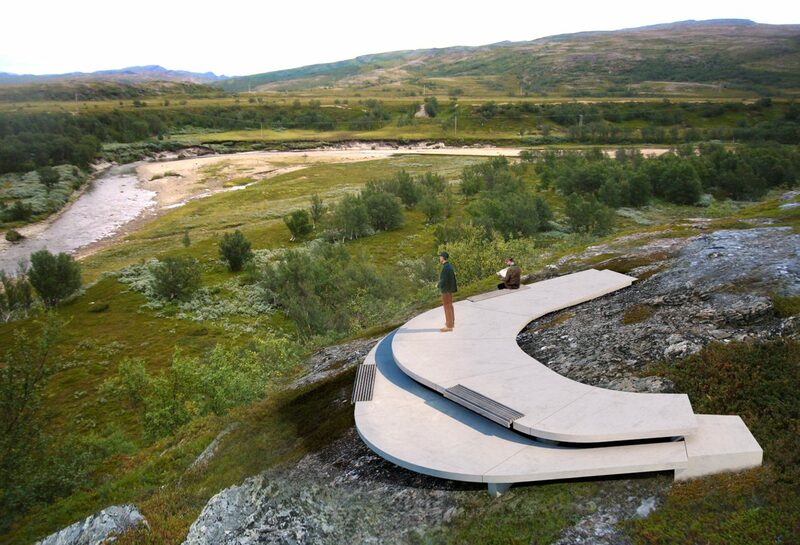 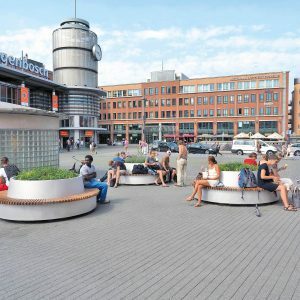 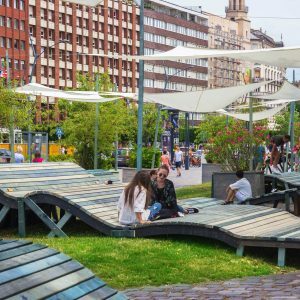 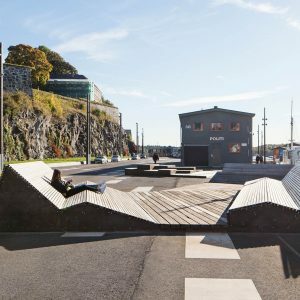 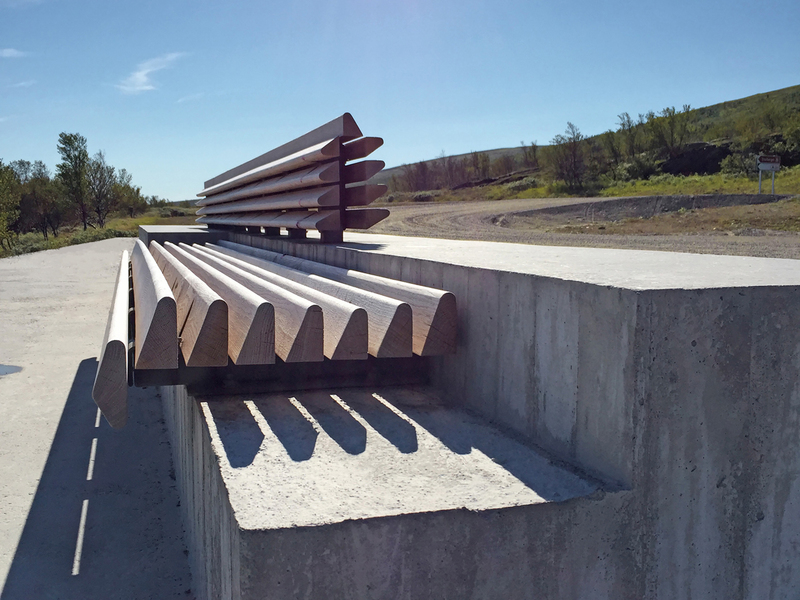 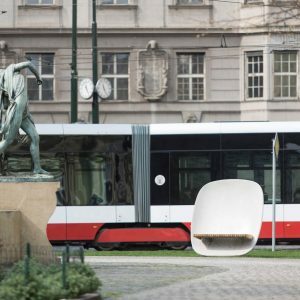 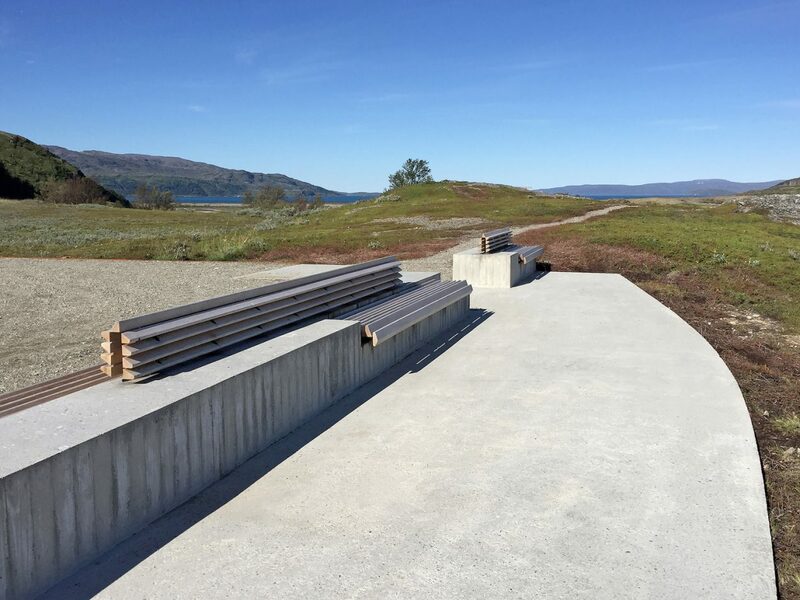 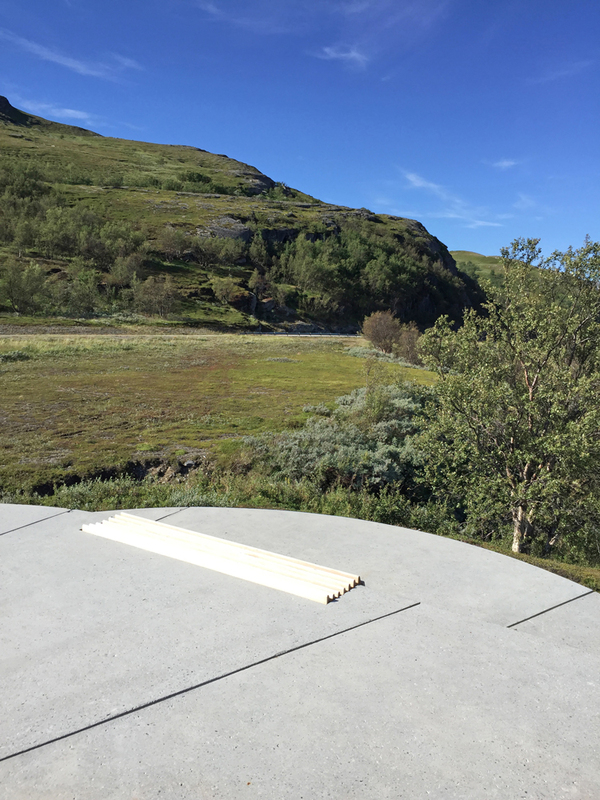 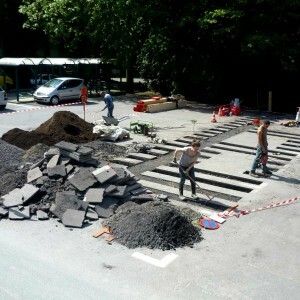 There is an expressed intention of achieving high architectural quality throughout the tourist route project, and several norwegian architects have been involved in the various designs. 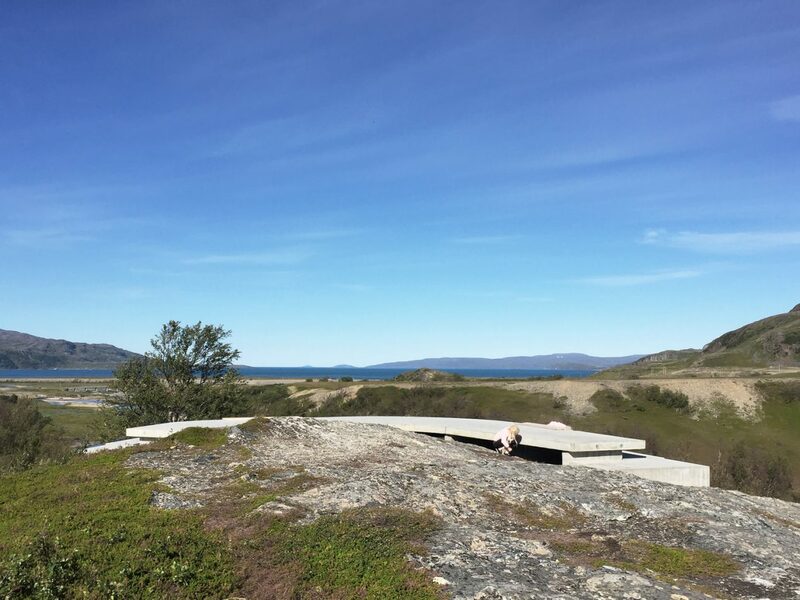 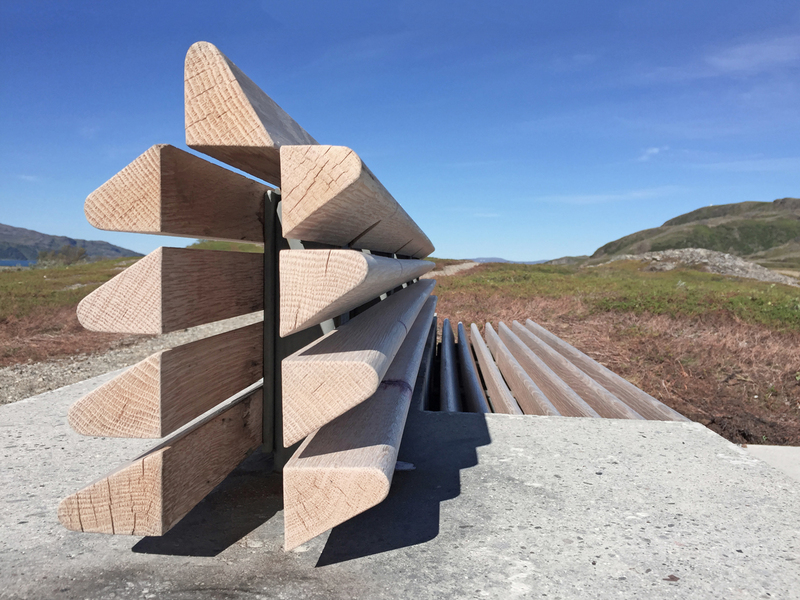 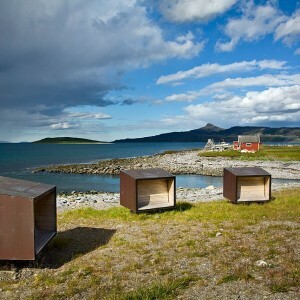 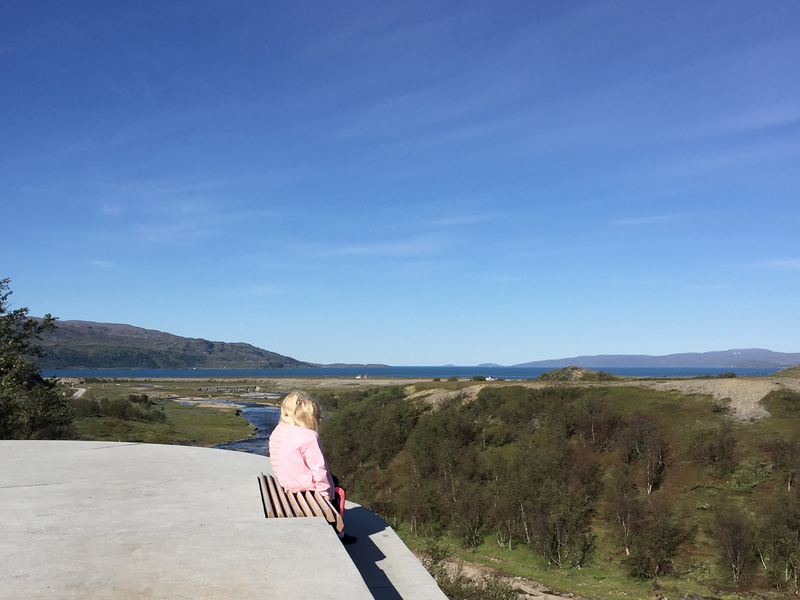 The viewpoint at Storberget marks the start of the 66-km-long National Tourist Route Havøysund, a road stretch where PUSHAK also have designed the Lillefjord and Snefjord rest stops. 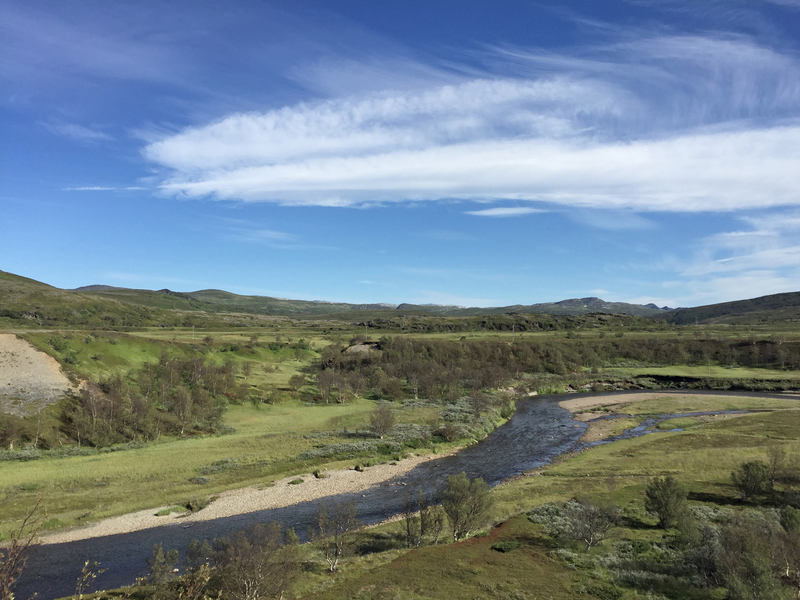 Storberget is characterized by a view to the surrounding open plains and the western horizon above the Revsbotn fjord and the North Sea. 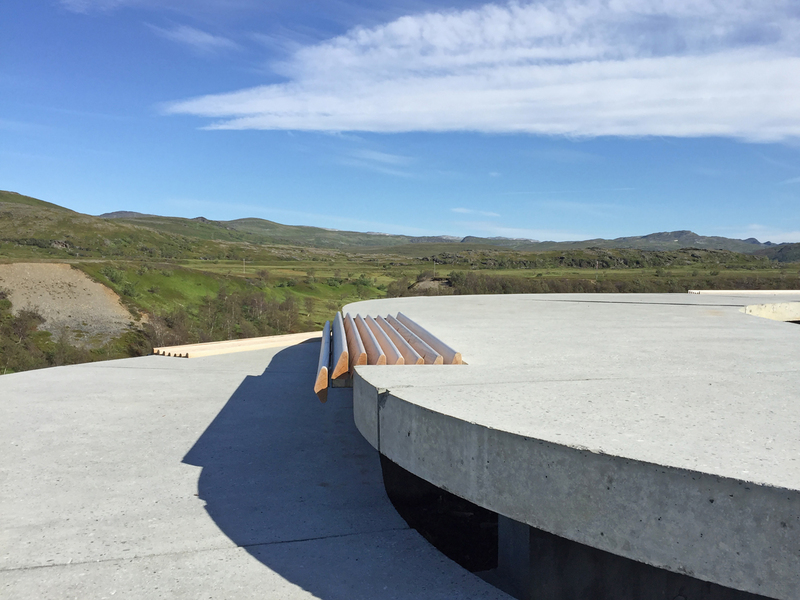 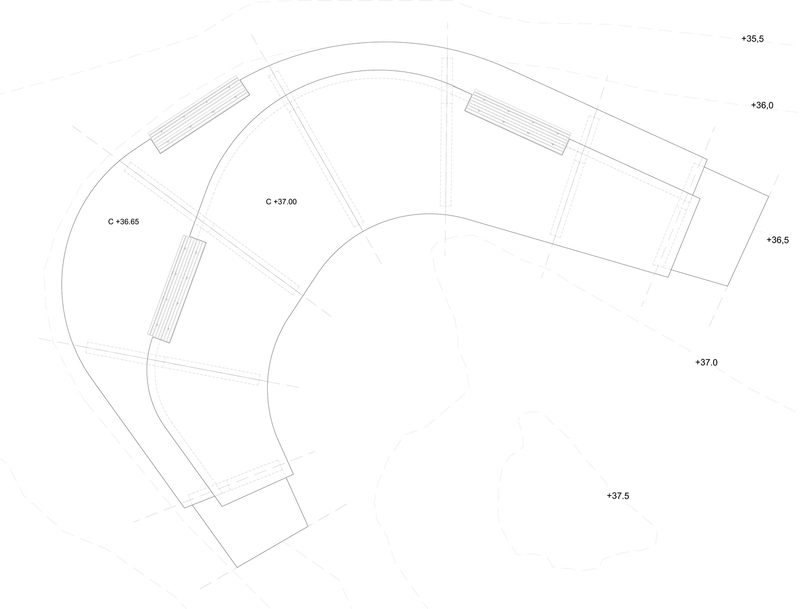 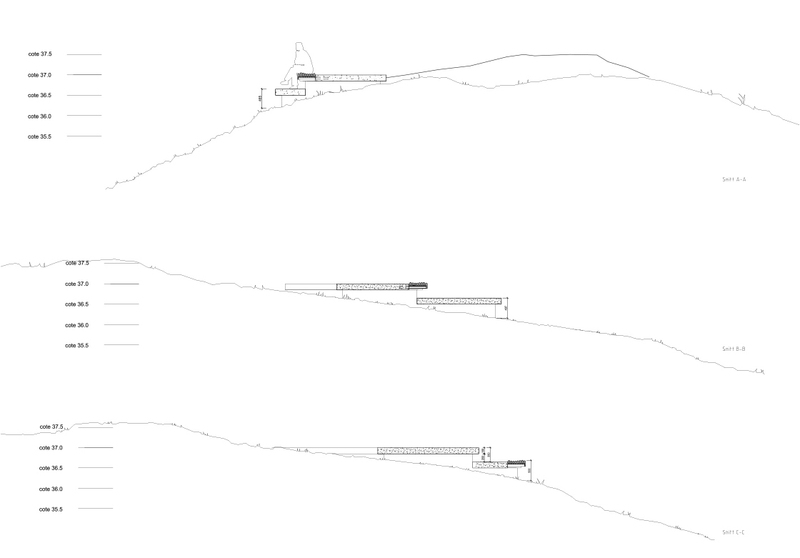 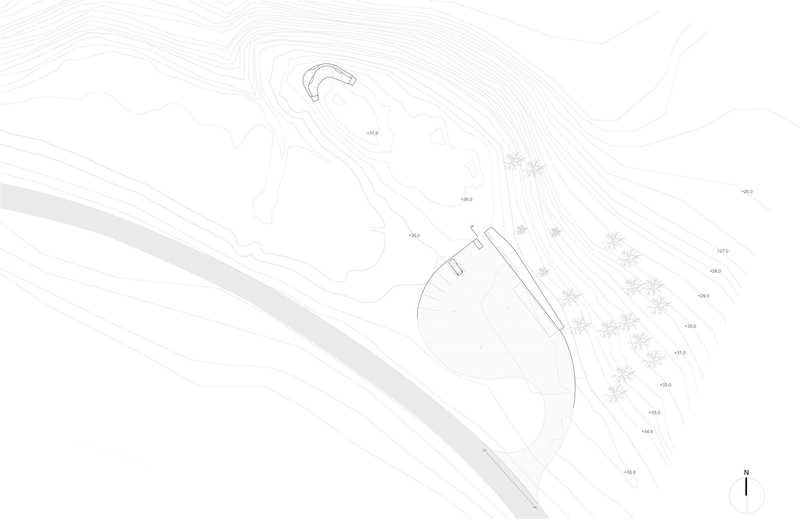 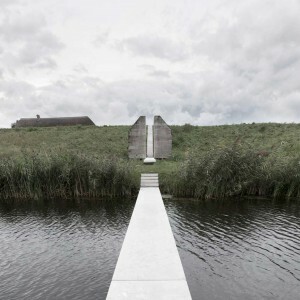 A bright concrete slab follows the curva- ture of the hilltop without touching the ground. 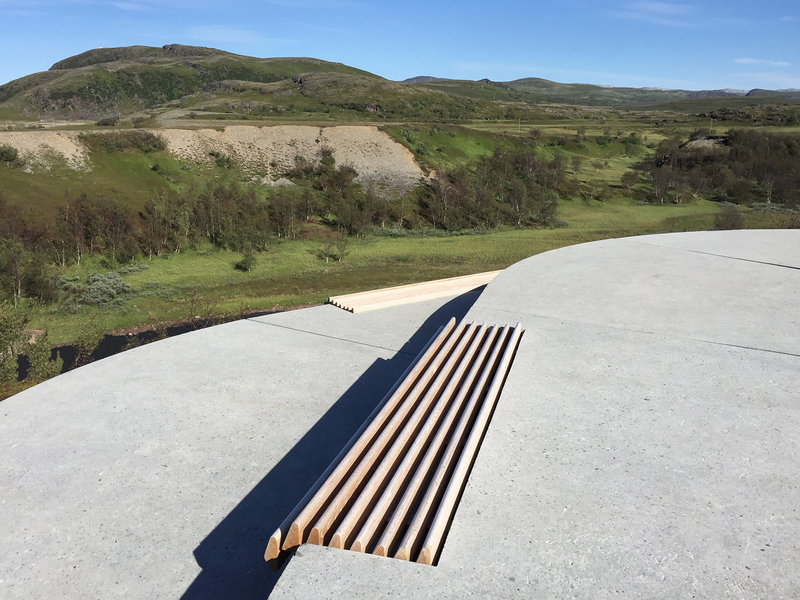 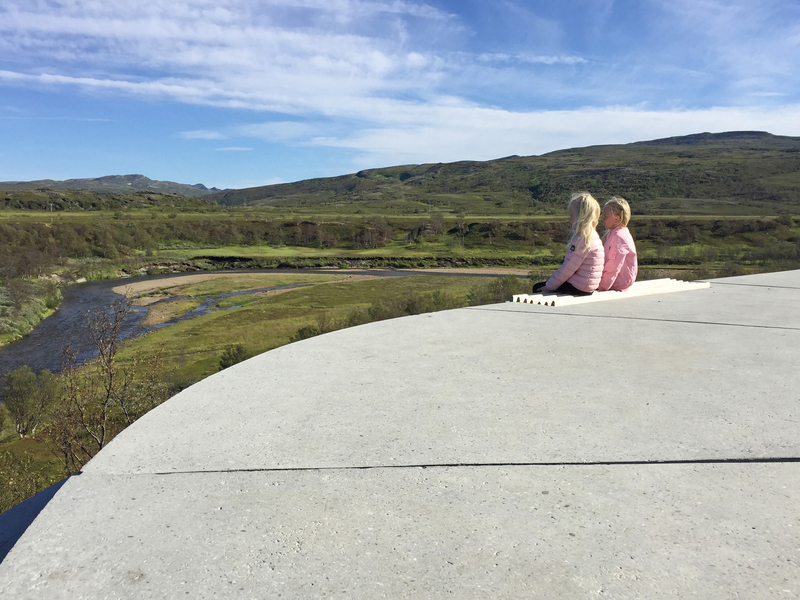 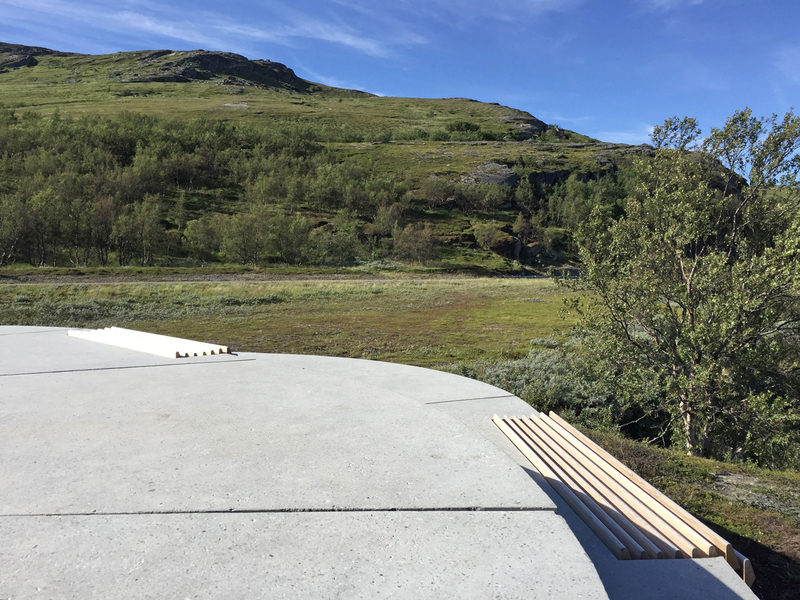 The slab has two levels with integrated benches of wood where visitors can enjoy the view or dip theire toes in the heather. 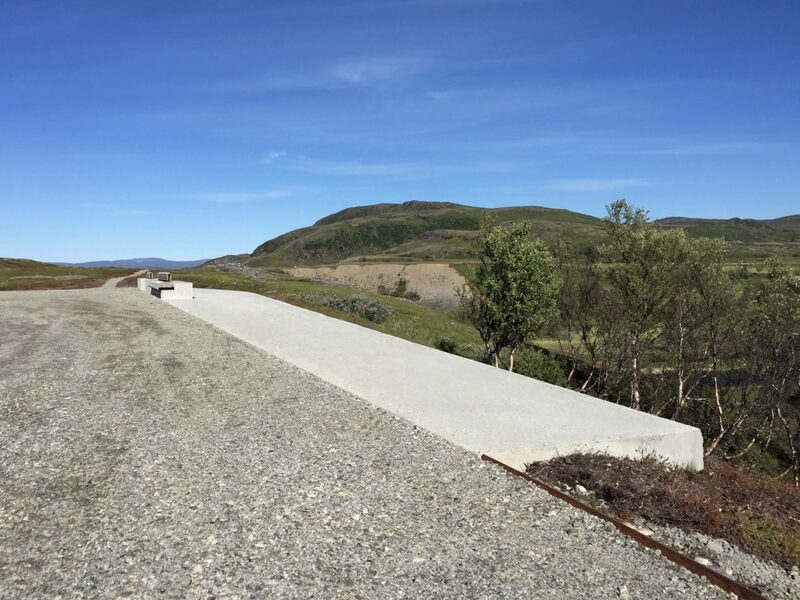 A gravel path connects the view point to the parking area and the main road. 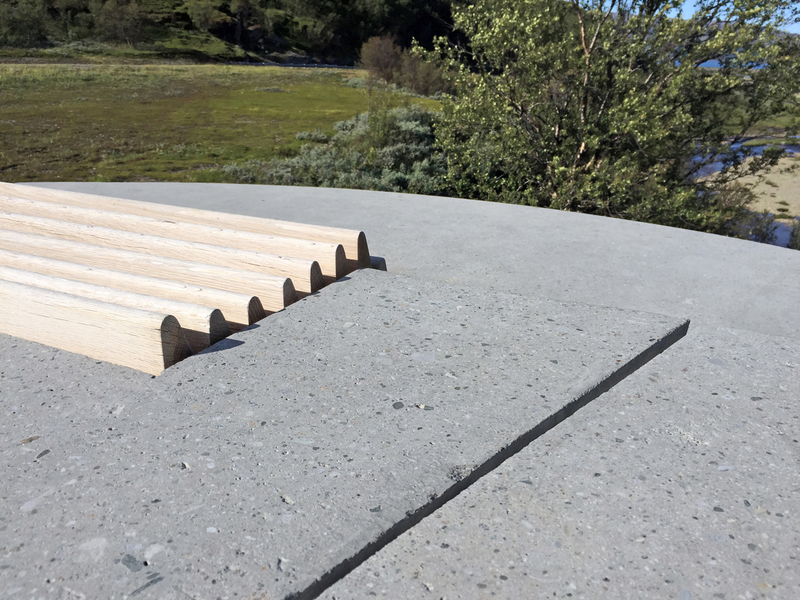 All concrete is poured in site, and wooden details are knot free oak.